Back in October, I wrote an article for Up and Coming Weekly about judicial redistricting. 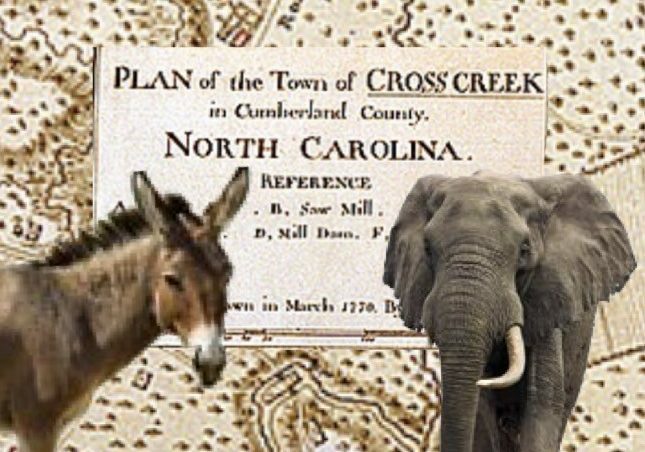 I argued the Republican majority in Raleigh was attempting to gerrymander judicial districts on racial lines to gain an advantage in the North Carolina courts. This will lead to further partisan and racial divide in a place that should, in theory, be free from racial bias and party influence. The Republican majority has yet to succeed in these redistricting plans, but they are now pushing forward with a different sort of power-grab. The Governor of North Carolina has held the power to fill vacancies in our District Courts since they were first created by statute in 1965. A bill introduced in the House of Representatives will alter 50+ years of law and tradition. District Courts are essentially the peoples’ courts in North Carolina. They handle traffic cases, misdemeanors, domestic issues, and civil cases with an amount in controversy less than $25,000. It’s where every-day problems are hammered out. If you’ve gotten a speeding ticket or you shoplift at Walmart, your name has been called in District courtroom. Because these “less serious” disputes are more common, District Courts have heavier caseloads. In our Constitution’s current form, Article IV, section 19 keeps the power to fill (elected) Superior Court vacancies with the Governor, so it would take an amendment to strip this power. An amendment requires a vote of the people of North Carolina and is unlikley to succeed. Republicans in Raleigh are well aware that they may not have a “veto-proof” majority in the House of Representatives after November’s election. If they are going to take power from Governor Cooper, they have to accomplish it now. In spite of decades of tradition, Republicans are going to take whatever they can before the clock runs out. Fortunately for Democrats, you can’t easily “cross-out” the Constitution.